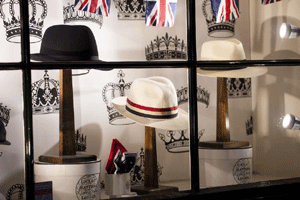 The men will host a new showcase of the best of British men’s accessories at Fortnum & Mason. For the first time London in the heart of historic Jermyn Street, St James’s. In association with The Crown Estate, the showcase will display a carefully curated selection of the most iconic and recognised items of a gentleman’s wardrobe, highlighting the excellence and style to be found in Jermyn Street St James’s. Taking part will be brands including Budd, Tricker’s, and Lock & Co, whose presence in St James’s has been long standing, as well as relative newcomers Emma Willis, Emmett, and Barbour. Following the Showcase, guests will able to tour Jermyn Street St James’s, visiting the resident brands to experience 400 years of sartorial excellence and catch a glimpse of the future for the well-dressed man.